When Mauricio Macri came to power last November, narrowly defeating Daniel Scioli in the second round of the presidential election, his triumph caused shockwaves across Latin America. The victory of Buenos Aires’ former mayor was heralded as the prelude to the end of the “left turn” that had marked the region starting in 1998 with the arrival of leftist-populist Venezuelan strongman, Hugo Chávez, proceeded by the likes of Argentina’s Néstor Kirchner in 2003, Bolivia’s Evo Morales in 2006, Ecuador’s Rafael Correa in 2007, and Nicaragua’s Daniel Ortega the same year. In the context of the Argentine economic landscape, Macri’s victory signalled a reversal of the course the country had taken since Néstor Kirchner entered office in 2003, followed by his wife Cristina Fernández de Kirchner in 2007. The Kirchners had favoured welfare and redistribution policies aimed at appeasing their main clientele—the working class. Part of the Kirchnerismo trademark was handing out generous energy subsidies to Argentines, and increasing the purview of the state in economic matters. From 2003 until 2015, state employment had effectively increased by 60%—accounting for roughly a fifth of the total workforce—according to the Latin American Economic Research Foundation (FIEL). A less flattering element of Kirchnerismo, however, is the archetypical feature of leftist-populist regimes: gradual despotism. In 2006, as a senator, Cristina Fernández de Kirchner voted to overhaul the composition of the institution that nominates and dismisses judges, a move that would “increase the vulnerability of Argentina’s top courts to political pressure” according to José Miguel Vivanco, the director of the Human Rights Watch’s Americas chapter. By 2007, as president, she coopted the National Institute of Statistics and Censuses (INDEC) by dismissing several employees, in an effort to distort poverty and inflation figures to her liking. Branding the bondholders she had to negotiate the country’s debt payments as “vultures”, implementing currency controls, and seizing the privately-owned Argentine Airlines, and the national oil company YPF, constituted the proverbial cherry on the sundae. These maneuvers, although permitting her high levels of approval, left the Argentine economy in shambles. 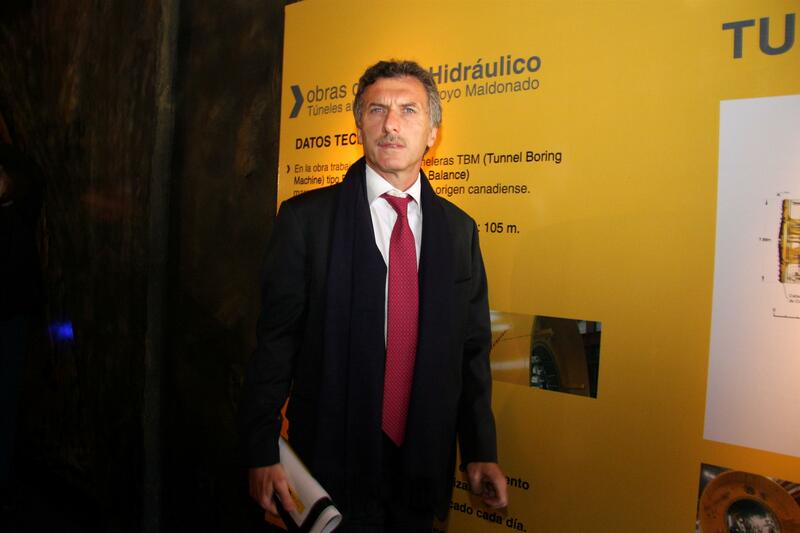 Enter Mauricio Macri. Since being sworn in as president last December, he has introduced sweeping monetary and fiscal reforms. He put an end to currency controls, consequently devaluing the currency—el peso—by 40% in December which translated to an increase in the cost of goods. To make matters worse for the working-class nationals, further measures such as a 300% increase in the cost of electricity were accompanied by cuts in education and healthcare, as well as labour cutdowns. According to the Argentina Centre of Political Economy (CEPA), from Macri’s investiture in December to September, over 200 000 jobs were eliminated. Additionally, the government successfully negotiated a plan with bondholders to access the foreign-issued debt necessary to offset the cost of devaluing the peso. Shockingly, the agreement obliged the government to cover 10 to 15 times the initial amount borrowed from the hedge funds during the 2001 default crisis. Lastly, starting in February, Macri’s administration established a protocol—with little input from human rights civil society organisations—guaranteeing the right to social protest only if it “does not limit the freedom of movement of people [and capital].” Economic neoliberalism is alive and well. According to a poll in late August by San Andrés University, only 24% of Argentines are satisfied with the current state of affairs. 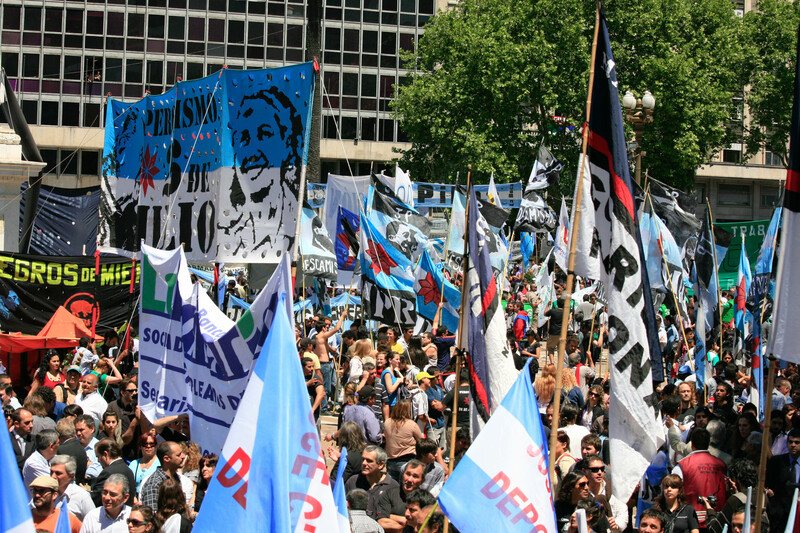 That over three-quarters of Argentines express discontent toward the current state of the country should sound the alarm bells for President Macri. His austerity measures, however necessary they are to redress a flailing Argentine economy, not only become less politically viable as the next presidential elections inch closer, but risk being self-defeating if they create the propitious conditions for the reemergence of a Kirchnerista. This year’s report by Latinobarometro—a firm that measures political opinions across Latin America—found that 68% of Argentines endorse the belief that the country only serves the interests of a small and powerful elite. Additionally, from 2011 to 2016, the popular confidence in Argentina’s governance has gradually dropped from 57% to 40%. That the level of satisfaction towards governance had fallen most sharply during the second half of Cristina Fernández de Kirchner’s presidency is telling. The paradox with leftist-populist regimes is that, although initially purporting to represent the working class, they gradually come to represent mere caricatures of the traditional elites they openly despised. The numbers also point to the region’s travails of “inequality, poverty, still-weak democratic tradition, and unfinished nation-building” eluded to by Jorge Castañeda in his 2006 piece in Foreign Affairs. Observable patterns in the emergence of Néstor Kirchner, Hugo Chávez, and their acolytes, is the opening that was afforded to those figures by economic crises. Before Kirchner entered office in 2003, Argentina had experienced the largest debt deficit of any country ever, which left over 50% of the population in poverty and 25% in extreme poverty. The crisis was much imputed on the country’s prior quarter-century experiment with economic neoliberalism—a model undergirded by a myriad of policies characterised by increasing privatisation, a decrease in public expenditure, and removal of interest rates in order to attract foreign investment. Argentina first acquainted itself with neoliberal economic policies during the military junta of Jorge Rafael Videla in 1977, which initiated the Financial Reform, abolishing state control of interest rates and creating an atmosphere conducive to lax financial control and capital flight. Result: 38 billion $US in capital flight. However, what really precipitated Argentina’s fall into economic moribundity was the International Monetary Fund’s promotion of taking on debt due to excess petrodollars on the world market from the mid-1970s to early-1980s. From 1976 to 1983, the state’s debt increased from 9.7 billion $US to a whopping 45 billion $US (363% increase in foreign debt in seven years). Argentina was mired in a vicious circle of debt accumulation followed by IMF loans conditionally tied to governmental obligations of implementing austerity. Fast forward to 1989, and inflation had reached 4923%. The democratically-elected government of Carlos Menem, under such economic turmoil, further deregulated the economy whilst selling public enterprises to the private sector—between 1991 and 1998, roughly 31 billion w $US had been sold off. Stagnant economic growth, chronic indebtedness, and the consequent social unrest set the stage for the entry of Néstor Kirchner, just as societal upheaval in Venezuela in the 1989 Caracazo had opened the gates to a coup attempt by a young soldier whose resultant popularity would propel him to the presidency almost ten years later: El Comandante Hugo Chávez. Mauricio Macri was undoubtedly left with a muddled economy by his predecessor, Ms. Kirchner. His harsh austerity measures may be a necessary evil for reinvigorating an enfeebled Argentinian economy. However, as shown by developments in the past, the country is not impervious to the leftist populism that has characterised it under Kirchner, and the Father of Argentine populism, former military strongman, Juan Domingo Perón. Cristina Fernández de Kirchner may be gone, but kirchnerismo is not going anytime soon. Luca is a a third-year Honours student in political science with a minor in psychology. Enjoying both Canadian and Italian citizenship, he was born in beautiful Victoria, British-Columbia, and raised in the cosmopolitan treasure that Montreal embodies. His fields of interest are Canadian foreign policy and Latin American politics, with a particular focus on the Venezuelan polity.